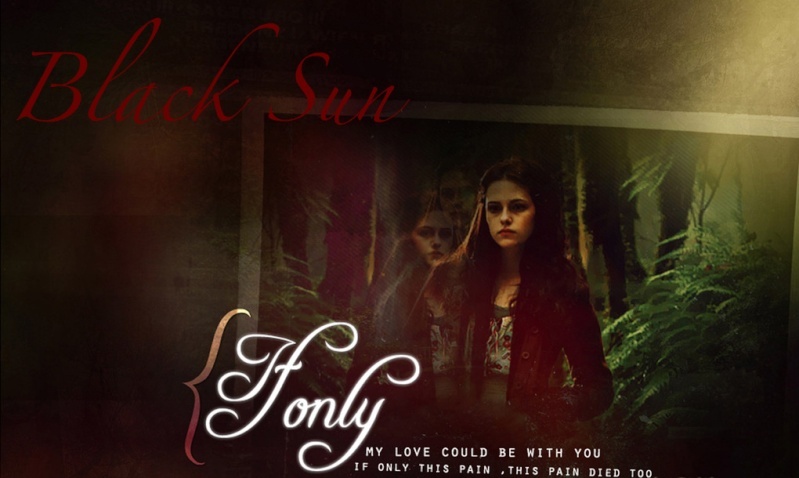 This role-play takes place right after the second book of Stephenie Meyer's Twilight Saga, New Moon. It all started from the very beginning and Alice had her first vision about Bella. It wasn't what everyone thought it was, and only she and Edward knew the truth. They of course, wanting to keep Bella safe played out that Edward loved her and the rest of the Cullen family thought Alice's vision was of Bella becoming a vampire, which the two let them believe. But reality Alice saw that Jasper was falling for the human girl, and falling hard. Alice felt heart broken of course and told Edward to get Bella to fall in love with him so she wouldn't get close to Jasper. In time Edward ended up falling in love with Bella as well, and worried for her safety with Jasper who was still struggling with a "vegetarian" diet. As we all know Bella was discovered by James, Laurent, and Victoria which led her being flown to Phoenix with Alice and Jasper. While there Bella started to care for Jasper in a new way, and he got closer to her. Alice was by now, feeling that there was no escaping their mutual attraction so she did nothing to stop it. When Bella was attacked by James in the dance studio, it wasn't Edward who found her at first. It was Jasper who used his skills and previous knowledge of fighting, on James and ended up dismembering him before the others arrived. With Bella in such a confused state she thought that Edward had saved her and poor Jasper remained in silence as his beloved Bella went back into the arms of Edward. Meanwhile James wasn't burned all the way. Which in turn lead him to come back to "life". He stayed hidden while he helped Victoria plan their revenge. At her eighteenth birthday party at the Cullen household Bella was attacked by Jasper who sadly did lose control when Bella cut her finger. Unable to bare the thought of hurting her, Jasper left the Cullen clan to go to Alaska and was soon followed by the rest of the family. Edward didn't want to go and leave Bella but he knew it was for the best so he did, never dreaming it would destroy her like it did. Months later, after many tears Bella became friends with Jacob who loved her like a sister. He swore to keep her safe; until the day he became a shape shifter and had to break his promises. While dealing with another low blow; Jasper was dealing with problems of his own. He couldn't keep his mind away from the sweet caring human girl that understood him so well. He finally made a choice and went back to Forks to talk to Bella. Jasper found his one love in a state of depression, which wounded him all the more. In more ways then one. He watched over her silently and out of sight, making sure she was safe at all times. He and Jacob discovered each other when both were on patrol of her house, and even though they were supposedly sworn enemies they had a common goal and became friends. Meanwhile Edward was busy consoling Alice about Jasper as she consoled him about Bella, and soon they found that they were falling in love. They didn't say anything to the rest of the family and their relationship remained under wraps until the whole Cullen family returned to Forks to save Bella from another attack by James.. but really it was just Victoria and a few other nomads under James' direction. Sometime during the battle, a nomad cornered Bella and bit her but before getting any further the nomad was attacked by Jacob who took awhile to attack the vampire by himself. which meant that Bella was left unattended for too long. Now James, Victoria and various other nomads that joined them are still on the hunt to figure a way to get at Bella, vampire or not. The Volturi have heard the news of the this fight and are worried that it will turn into an all out war like the newborn epidemic many years ago. They are ready to jump in at any moment, and have sent in some spies to keep an eye on all the goings on between the rogue nomads and the Cullens. Whose side will you choose? Who will win? And is Bella's romance built to last? When an Eclipse hits, you get a Black Sun.